That was thrilling to learn! Of course today things changed completely, but it is good to know how plan B is looking like, if all the electronic stuff fails. Only a few captains nowadays will make such experiences (except of all the seamen on these small asiatic ships and boats without any modern equipment). Thank you for this lively explanation!!! I was reading through all this this morning and found it fascinating. I broke off to do other things and having returned I have just been swotting up on spring lines and docking small boats! But seriously, these accounts are really enjoyable and I hope to see more. Thank you, Nari and Ombugge. I think I may have posted this story before but could not find it - so at the risk of doubling up, here it is. We were returning home to the Line islands on a medium sized vessel of the Union Steamship Line (an old NZ shipping service) and were approaching Tabuaeran in early morning light. This thread has turned into mixture of Sea Stories and Anthropology I'll continue with a story from a different part of the world and a different time. She was sold to Atlantic Drilling, which was owned by Ben Line of Scotland, who wanted to have their own Captains and Chief Engineers on board. She was chartered by ONGC in India. I continued as Master for the first trip and for the first anchoring operation, with the two Captains who were going to take over as Mates. We sailed from Singapore to the Andaman Islands under our own power, which meant a speed of 6 kts. with a clean bottom and good weather. Andaman was closed to foreigners at the time so we all had to get special permit for every individual to be allowed to enter there. In the regular crew there were 19 different nationalities. In addition we carried drill crew from Thailand for a total of abt. 100 persons, so not an easy administrative task to get the paperwork in place. I read from the Bay of Bengal Pilot that "the Andaman Islands is populated by Indian settler, freed convicts and several tribes of Aboriginals", which promptly got the comment; "just like Aussie, mate". It went on to say that the area next to where we were to drill was populated by the Jawara tribe, who were "known to kill on sight". After we had managed to anchor we had to wait for a couple of days for the Supply boat to arrive from Madras with spud material etc. so we decided to have a lifeboat drill and actually launch the boats. The two mates took charge of a boat each and, with a few crew members on board took a spin around the rig. Unfortunately one of them moved to within a mile or two from shore. He claimed he had seen some natives with bows and arrows and spears on the beach, but had wisely stayed well outside arrow or spear distance. Since we were only a few miles NE of Port Blair, the lifeboat had been observed and, since I was still the Master, I was call in to get a reprimand from the Harbourmaster, but luckily nothing more. We were the first foreign ship that had been allowed into Andaman since WWII, except for Russians ship to their base at Port Luise, further north. I left with the first crew change plane to Phuket, which was also the first foreign plane to land at Port Blair airport. Now for the anthropology part. Some of the tribes on the Andamans are as black, if not blacker than the Bukas. One theory is that they are remnants of an early migration out of Africa and that they got stranded when the land bridge to the rest of Asia disappeared. They are close relatives to some other negroid tribes in India and S.E.Asia, as well as to the now extinct Tasmanian Abos. I don't think they are related to the Bukas though, because they have a more Caucasian build and features. "I don't think they are related to the Bukas though, because they have a more Caucasian build and features". I withdraw that statement. Having compared pictures of Jarawa and Buka people I can see similarities in the build and facial features. Could they have evolved alike on different islands far apart, or is the theory that they migrated from Africa correct? That was a nice story, Naripalmer. Children in this age have a very photographic memory. I must have been around this age, when i was discussing with my parents on a ferry we used for the first time about the correct stairway to get back to our car. I convinced them, we took a completely different stairway as they were heading to and stood right in front of our car when we entered the car deck. I was also often surprised, how perfect my children remembered places and ways in that age. Obviously no great interest in the Andaman, or the fact that there are people there virtually living in the stone age still. Maybe this was too far OT? Very interesting, Ombugge. Only just catching up with reading some of these links. Nari wrote; "His favourite town was Lae in PNG". Actually that was my favourite place too and the nearest to civilization, outside of Port Moresby and Rabaul. Sitting in the Lae Club and listen to the stories told by some of the oldtimers, while they showed off scars from arrows and crocodile attack, was an adventure in it self. Lae was also the first place I visited in the area, arriving with the Slidre from Japan. We had carried a cargo from Singapore to Moji in early 1968 and was sitting at anchor outside Shimonoseki waiting on order when we received a telegram instructing us to proceed to Lae, PNG to load sawed timber and then to proceed from there to Sydney to enter into a charter with Karlander New Guinea Line. The problem was that we had no charts for the area. We managed to get hold of a chart for the North coast of PNG, incl. 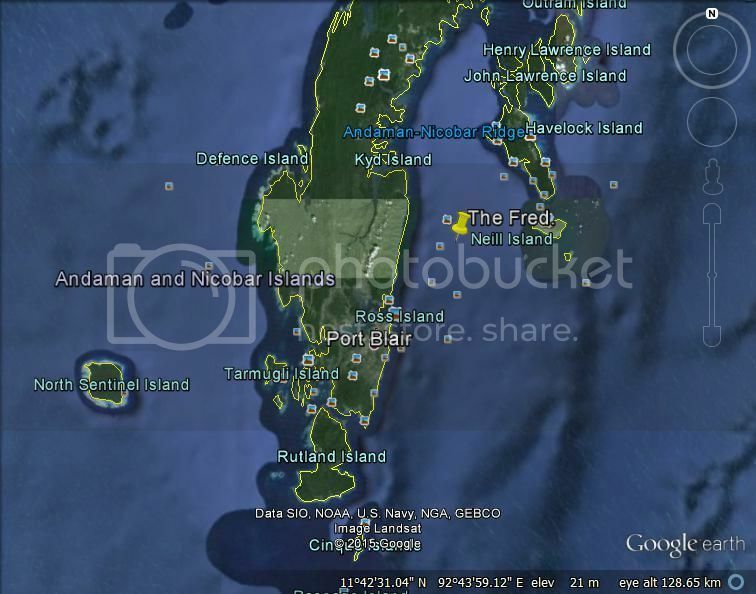 the Bismark Islands and the Huon Gulf, but nothing for the Pacific Ocean, and no Plotting charts. I went onboard a Greek bulker that was anchored close to us and managed to get a chart that covered all of the Pacific, from the Bearing Strait to Cape Horn. We had come up to Japan via the China Sea so we had charts for that area, which we could use as plotting charts. We only had to changing the longitude as required for the route we were sailing. So, using a magnifying glass to ensure we didn't miss any little speck, we marked every island and reef along the route as big squares on the China Sea charts and planned a route that would take us well clear of them. Capt. Just Olsen decided that that was good enough. But the Charterers had also requested an ETA, not just to Lae but to Sydney. "How in the H*ll can you give an ETA for such a long trip, with a loading port in between as well". Capt. Olsen replied with a date and hour. ​We made the trip to Lae without any problems and got our first taste of PNG and the Island trade, where we got charts for the east coast of Australia. We loaded full in Lae in a couple of days and arrived in Sydney within an hour or two ahead of the ETA given from Japan some three weeks earlier. When the Charterers came on board, their first greeting was; Congratulation on your ETAs. 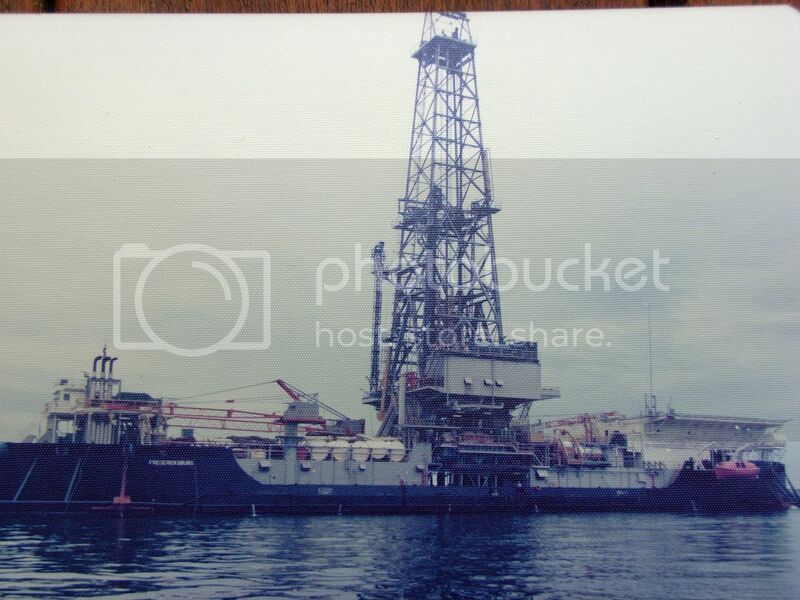 After that Lae was a port of call on most trips with the Slidre and Slidre Timur, until I left the trade in Aug. 1970. Many memories from there, mostly good, some funny. I read about these peoples with a great interest, hoped there would be many more such accounts and don't see that it was OT, given an open-minded interpretation of the thread's title. But we don't always comment on everything seen on the forum, DO WE, OMBUGGE??? OK, OK, guilty as charged. Oh ....it was the personal stories and connections that make the anthropology so much more interesting! I agree with Cecilia. Surely, sea stories include not only the journey itself, i.e. while on the water, interesting though that can be, but also what is met with as a result of any particular voyage. Too narrow a view can exclude those experiences of the narrator once at the destination which are worth relating and all part of the story. You can't leave them out. It is like Cecilia telling about her trip on the Serenissima but confining it to what happened on board and what sort of weather was encountered. As Nari said at the beginning "..... what goes on in the ports they visit." Without that voyage you would not have met the Andaman. I appreciate Ombugge's accounts of his ventures into the wide Pacific and am checking my father's old tatty accounts of what he did and where he went. Personally, I am interested in accounts of where and what, not who was there on arrival. That's just me - Ombugge's stories are very interesting to me without anthropology taking away attention from the events. It looks like the Ladies have a difference of opinion on the matter of mixing sea stories with anthropology. As a Gentleman, I'll compromise; if and when I add more to this thread I'll only mix in anthropology if it is a natural part of the story. Last edited by ombugge; March 3rd, 2015, 05:11. I'm happy with that compromise. I am well aware that I am in a minority with my prime goal of travelling being the landscape - au naturel. Now I just wonder who showed interest in the anthropology sideline?? As far as I have determined there was no cannibalism within the Polynesians and Micronesians but the Melanesians were prone to eat their enemies up until the 1940s. Yes cannibalism was, if not common, known to occur well into the 1940s, with the war years leaving ample supply of "long pig" for the pot. It was obviously not the first time this had been done, just his way to introduce newcomers to the way of PNG. He also pointed out an island which could be clearly seen from the anchorage in Wewak locally called; Walk-about Island. (Official name; Vokeo Island) It is a fairly large island with abt. 600 m. high volcano of near perfect conical shape as seen from Wewak. On the the BA Chart it was outlined with dotted lines and marked; position uncertain. If you take a bearing of the island from Wewak in the morning and again before the rain in the afternoon, the result with be different by a number of degrees. I can't remember how many degrees, but enough to where it was noticeable by bare eyes. Last edited by ombugge; March 3rd, 2015, 10:47. Why would a bearing vary significantly between early am and pm? I recall in 1955 (I think)we passed Malaita in the Solomons on the way to Tulagi to load timber. The skipper made a point that there were no ships at that time loading at Malaita - too dangerous. My second cousin, half Solomon Islander, was the sole protector of the munition cache at Bougainville. When the Malaitans arrived to take it over, about twenty of them, he threw up his arms in surrender, and the Bougainville problems were resolved in a sort of way. The reason is probably refraction caused by changing humidity in the air between morning and afternoon. In Wewak it would start to rain at three in the afternoon every day. You could almost set your watch by it. We would stop cargo work at 1430 hrs. and cover the hatches in preparation for it. The rain would only last for 20-30 min. as a rule. Back to Lae and the Lae Club Gentlemen. When we arrived from Japan with the Slidre and started on the Island trade we had a crew of mainly Singapore Chinese. This was at the time of the Cultural Revolution in China and "The troubles" in Malaysia, with Communists trying to influence politic in Singapore. The younger of the crew had gone true training on the TS Singapore, a hotbed of Communist influence. After a couple of trips they got restless and homesick and started to make trouble, so we decided to send home the troublemakers and take Kanakas as crew. We retained the older and key crew members, like the Engine Drivers, Bosun, Chief Steward, the Captain's Boy and Cooks, however. At the Lae Club we were advised; "Make sure you mix the tribes. Don't get too many of the same tribe, otherwise there will be trouble". Luckily we had enough crew to continue our few hour trip to Lae without problems. When we got there we had to ask the Agent to supply a new crew, "but make sure they are from different tribes, not too many "one-talks". By the time we got to the Lae Club in the evening, everybody there had obviously been told of our "adventure". "How was your trip and how was the crew"?? "Well, we told you to mix the tribes".